Q: Why the different age restrictions? A: Ages are determined by our insurance carrier and are based on car type, motor, etc. A: The pit gate opens at 6:00 PM and the races begin at 8:00 PM. Q: How do I reserve a car number? Q: Can I bring my 4 wheeler? Q: Where is pill draw? A: Pill draw is located at the base of the scoring tower. Q: Where are line ups posted? A: Line ups are posted on the board behind the scoring tower. Remember, it is the driver's responsibility to know when they race and to be lined up and ready to go when called. Q: Where can I pick up my check? A: Pay off is at the window of the pit booth. Q: What do I need to bring my first night of racing? A: If you are under 18, you will need a copy of your birth certificate or driver's license and a signed parental release (signed by both parents). Each week thereafter, you will sign in on the "minor" sign in sheet. Q: How can I get a copy of the rules? 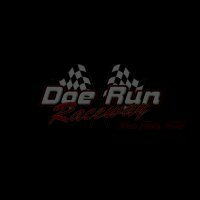 A: Go to our home page www.doerunraceway.com and click on rules from the menu at the left.